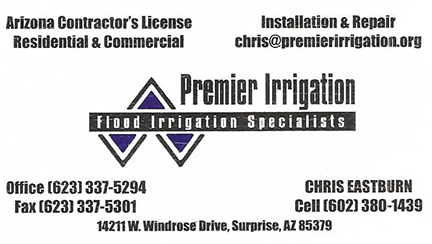 Have Flood Irrigation Problems, or need repairs? These folks can help! They do it all. 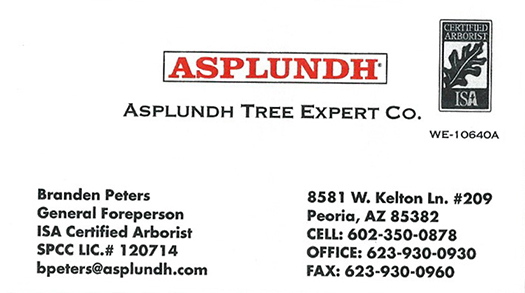 3/17/2015 - Several PHNA board members met with an SRP Representative and Asplundh Tree Experts currently working in our Association. We expressed our concern about over trimming and not always communicating with the homeowners BEFORE any drastic trimming is done along SRP Power lines. The reps from both SRP And Asplundh were very attentive, asked for our input, and understood our concerns. They also described many safety issues, and uninterrupted power supply as their largest goal in this bi-annual tree trimming. BOTTOM Line - it was a good meeeting. If you have any questions or concerns you are urged to call Mr. Peters (card above). I'm certain he will work with you. The City of Phoenix, including Neighborhood Improvement, Planning, and Zoning. Here's the Salt River Project, our provider of irrigation water and electricity. Irrigation schedules, now on line! Another utility is the Southwest Gas Corporation. The Creighton School District is a major presence in the neighborhood, as is St. Paul's Preparatory Academy. The Los Olivos Senior Center Association is a local resource for neighborhood seniors. For Phoenix culture, browse the Phoenix New Times. 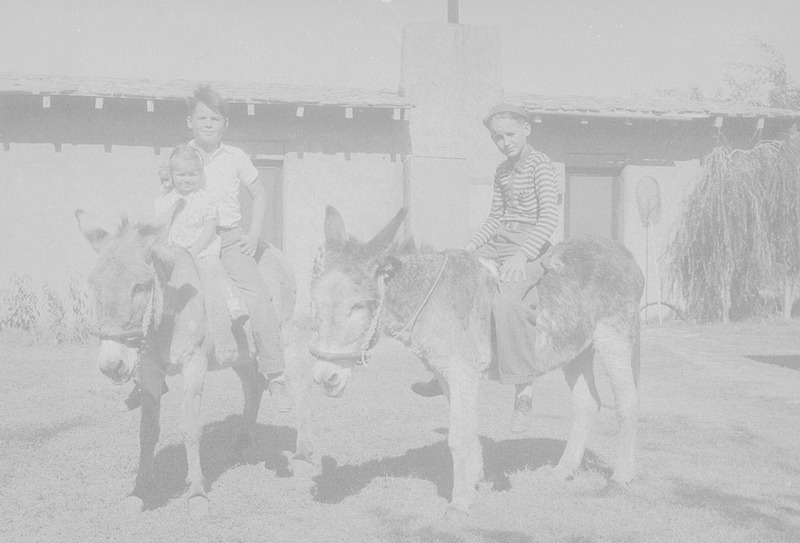 For all sorts of information on Arizona, including hundreds of links to related sites, check out Arizona's Family.